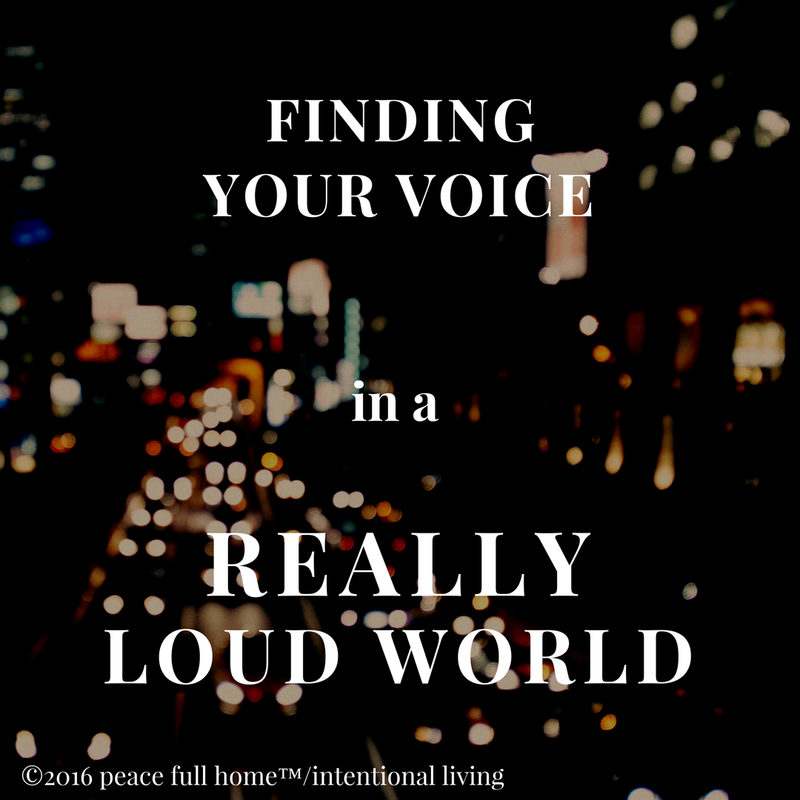 Do you ever feel like you “can’t find your voice”? Our world can be really loud. Right now, in this Presidential election year, it’s almost as if everything else is drowned out by the campaigns being waged. If you reside in a place like New York City, you’re probably used to the noise level. It’s simply part of the background. Even when I’ve only stayed there for a couple of nights, I’ve come home fully aware of the huge difference between the sounds in a “city that never sleeps”—where disquiet is part of the experience—and suburbia, where I live. We adapt to our surroundings. Finding your personal voice often requires determination and courage. Just like life in the city or the country, we adapt our voices depending on our experiences. Using your voice may feel risky. It may mean expressing opinions that don’t resonate well with the people you know. It may require finally standing up and being heard. It may call you to decisively—without apology—speak your truth. The key here is doing so with a conviction of spirit that this is your point of view, and not make excuses for it. Finding your voice does not mean that you must engage in every conversation brought to you. Some folks are born debaters. If you don’t fall into that category, and you begin to feel as if you’re caught in a cycle of “I can out talk you” with someone who loves to hear himself or herself talk, it’s often best to gracefully walk away from a discussion. This is different from giving up being heard. It’s acknowledging that you have a contrasting opinion and that you choose to not keep replaying the same tape without a different outcome. Many of us also know people who are like clanging cymbals—so insecure that they must monopolize every conversation. They must always be right and they’ve perfected the delivery. This, too, is a situation that requires “exiting stage left”. My opinions and views today are different than they were at 20, 30, 40 and even 50. As I continue to learn, grow and listen, I take on what makes sense to me. I then discard what no longer feels like truth. Growth requires adaptation. It’s okay to change your mind. It’s okay to admit that you now see things differently. One easy way to start finding your voice is simple—when you think something nice, share it. It’s a “voice exercise” that has no negative consequences. Just try it: “Steve, you did a great job with that presentation today.” “Jo, your message really hit home.” “Sally, I admire your determination.” Mary, you look beautiful.” This practice not only helps you become more comfortable articulating what you’re thinking, it also has the positive effect of spreading joy! In very few relationships do humans agree completely with each other. That’s what makes us unique and interesting, and that’s okay. •Remember—as you find your voice—that you want to be heard from a place of conviction not a place of hostility. •Don’t roll over and be a “yes man” or “yes woman”. Stay true to your belief systems. •Don’t bully someone else. Calmly share how you feel. •Learn to listen without forming a response before the other person is done talking. •Create the expectation that you deserve that same consideration. The answer to that is simple—being your own person, with thoughts, feelings and opinions is much more important than walking through life voiceless just to maintain the status quo. I started writing this post with, “It doesn’t matter what’s happened in the past….”, but then I thought, “wait it does matter!” We are, today, the sum of our experiences and circumstances, that have brought us to the place we are right now. What’s most important in moving forward is speaking your truth. But, before you can do that you need to understand what that is. If you’ve always simply adopted the beliefs of those around you (followed the crowd) or absorbed the ideas of your partner, family or closest friends, without really thinking about them, you may have some work to do before you own opinions that you can truly declare as yours. The future is at stake—your future, where your needs and thoughts do matter! If you start to think, “what do I have to say of value?” or “who would listen to me?”, consider this—all of us are made up of body, mind and spirit. You, my friend, have just as much value as everyone else! What voice do you want? Claim it, then own it, then share it with the world because….you do matter. Instead of being a “seeking validation by nodding my head in agreement bobble-head doll”, be you! Be confident in your voice. It may not be an overnight metamorphosis, but it will be beautiful! 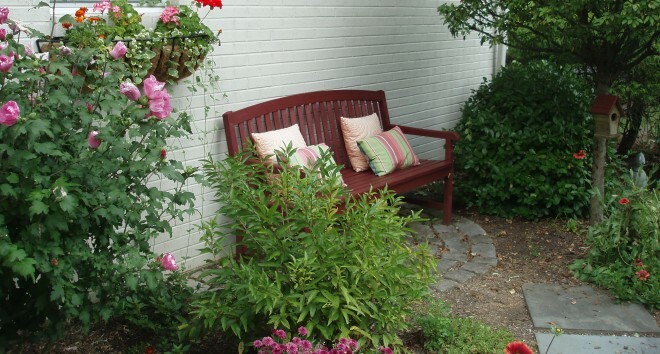 This entry was posted in Creating a Peaceful Home, Food For Thought, Inspiration, Inspirational Writing, Living Intentionally, Living Your Best Life, Peace Full Home, Peaceful Home and tagged adapting using your voice, being bold, being heard, being truthful, being yourself, finding your voice, opinions, presidential elections, you DO matter!. Bookmark the permalink. What a lovely blog… Thanks for sharing your voice.